For context, I invite you to go read this post from July 8, 2010, the 8th day if the sabbatical. It’s okay. I’ll wait. As you might be able to tell from this photo, I repeated the experience earlier today for my lunch. I offered to share with Melinda, but just like she did 7 years ago, she declined. Honestly, she doesn’t know what she missed. It really is surprisingly tasty. This is especially true because there is nothing like it in the US. 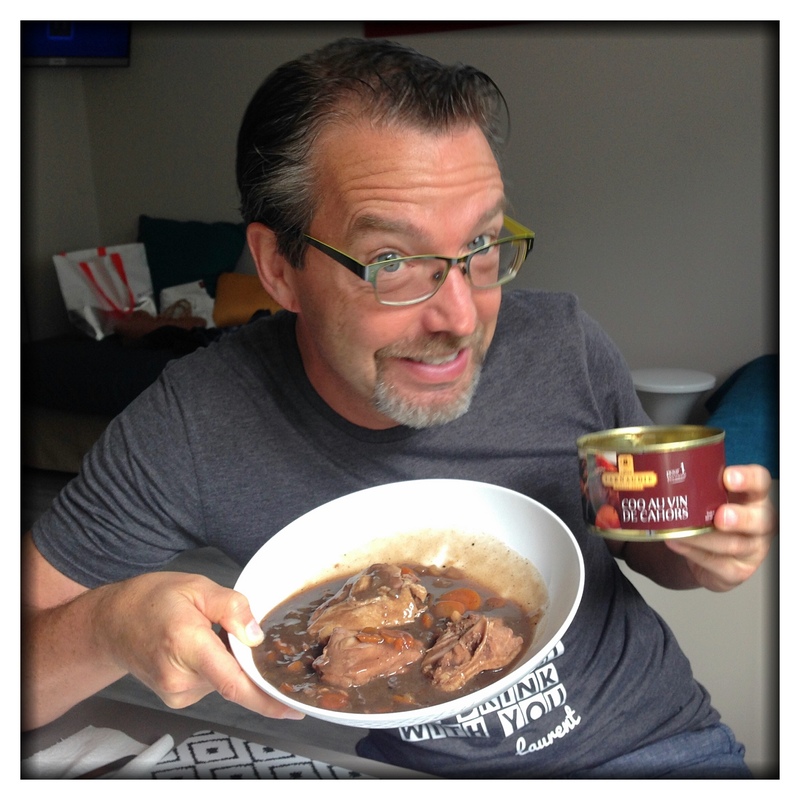 I decided to post this because Melinda’s mom, Michele, got a big kick out of me eating coq au vin from a can back in 2010. I think she especially likes my rendition of the sing-song, “Coq au vin, in a can.” I made it up, in case you were wondering. In our little kitchen at noon today it all came back to me, Michele. I dedicate this post to you. Maybe you’d join me?